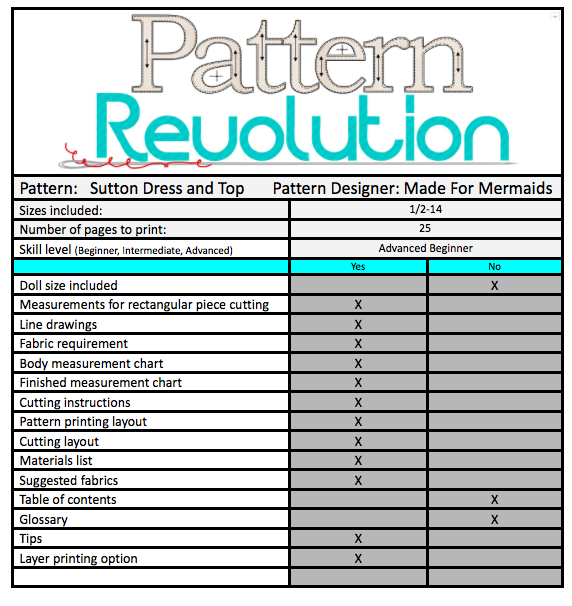 Hi, it is Katy from My China Doll and I am reviewing the Sutton pattern by Made For Mermaids. The pattern is designed for woven fabrics and caters for a wide size range from size 1/2 (which suits 9-12month olds) to 14 girls. There are several options to choose from to customise your sew - top or dress length, and sleeveless or elbow length sleeves. The bodice has lovely princess seams which can be embellished with piping or lace trims. I used cluny lace for mine and my fabric glue pen was essential to position the lace perfectly. As I have previously written in my other blog reviews, I love the beauty of seeing the inside of my garment neatly finished. The Sutton can be made with a fully enclosed bodice and French seams for the skirt side seams so you can create a beautiful garment inside and out. The button up bodice was easy to create and the gathered circle skirt is very full and perfect for twirling. Scared of making buttonholes, or time poor? Snaps are a fantastic option and make for easy dressing too. My favourite way to hem a circle skirt is with bias tape. If you choose a contrasting colour, it gives a gorgeous pop of colour when the skirt moves and makes for a lovely, neat finish too along the curved edges. The pattern pieces are layered for printing ease and most pattern pieces are included except for the bias and placket pieces which are measurements. It actually sewed up a lot quicker than I thought it would and it would definitely suit an adventurous beginner. If you wanted to change the look of the bodice you could cut four of the front bodice lining pieces instead, which would omit the princess seams and make the look simpler. It is definitely an on trend pattern which makes for an enjoyable sew. Fabric selection can completely change the look too. I love small scale floral prints on my girls and I styled mine for the unfortunate cold that is coming to the Southern Hemisphere now; I made a knitted lace bonnet and paired it with knee high socks and boots for a cute and fashionable look. This dress looks perfect paired with a cardigan on cooler days too. And for those lucky enough to be heading into summer, style the Sutton with a lovely summer hat and sandals and you are good to go. I am sure you will love making this design.